By accessing this web site and/or using the services provided on or via this web site (hereafter referred to as “the Customer”) you agree to be bound by this Disclaimer. If there is a conflict between the terms and conditions of this Agreement and one or more terms contained in the other agreements between you and REB, this Agreement will take precedence. REB agrees to provide you with the online payment services described at “Schedule A" attached hereto and incorporated herein by this reference (hereafter referred to as “the services"). You agree to the terms and conditions contained in this Agreement, including the rate structure for NCB’s e-Commerce Facility, described in “Schedule B”, hereto. These services permit REB customers (such as Salesmen, Real Estate Dealers, Developers, Strata Corporations and other end users) to access a number of online payment options through the use of a personal computer, mobile phone or other electronic device. You, the Customer, understand and agree that the use of this web site to pay for the aforementioned services does not alter or extend a statutory deadline as stipulated under the Registration of (Strata) Titles Act and/or the Real Estate (Dealers and Developers) Act, and all other legislation and/or regulations attendant thereto; and as such, your failure to make any payment on time or other failure to meet any deadline will not be excused, even if caused by the REB error or any malfunction relating to this web site, and any applicable penalties, fines and interest levied or accruing as a result of such failure to pay on time or meet another deadline will apply. In consideration of your use of this web site and the services herein provided, you agree to provide true, accurate, and current information. If you provide any information that is untrue, inaccurate, or not current, or if REB has reasonable grounds to suspect that such information is inaccurate, or not current, REB has the right to not process your online payment and/or to terminate your use of any services on this web site. You understand and agree that REB reserves the right at any time and from time to time to modify, discontinue, temporarily or permanently, any services provided and any conditions or user with or without notice. REB makes no guarantees, promises, or warranties regarding the accuracy of information and data provided by any section of this website. You agree and understand that the information and data in this website are being provided “as-is” without warranty of any kind, and that the information and data may be subject to errors and omissions. To the extent permitted by law, REB disclaims all warranties, including, without limitation, any implied warranties of merchantability, accuracy and fitness for a particular purpose, and infringement. The Customer acknowledges and agrees that neither REB, nor any other Government Agency, entity or body nor any vendor or service relating in any way to our online efforts is or will be liable in any way whatsoever for the accuracy or validity of the information provided. Use of this service to submit payment constitutes acknowledgement that REB and the processor of electronic payments assume no responsibility for the data entered by Customers or other service users. It is further understood and agreed that payment made via this website is an admission of liability on the part of the Customer. You, the Customer, also acknowledge and understand that you use this online payment option at your own risk and that your agreement to this clause is a material inducement to REB’s decision to make this online facility available to you. Security measures have been taken to protect against loss, misuse or alteration of information you provide, nevertheless, it is critical that, as a Customer, you protect against unauthorized access to your password and to your computer and that you always sign off when finished using your computer or other electronic device. Further, you should be aware that no system is impenetrable, and as such it is the Customer’s responsibility to diligently monitor your credit card statements, bank statements and similar personal information so as to discover and address as quickly as possible any misuse of your personal information. REB will therefore not be responsible for any loss (including loss of profits, revenue, contracts, anticipated savings, data, goodwill or wasted expenditure) or any other indirect or consequential loss that is not reasonably foreseeable to both you the Customer and REB when you commenced using the services contemplated in this agreement. It is understood and agreed that REB reserves the right to change the charges, fees or other terms described in this Agreement. It is recommended that you review the information provided on or via this web site, including the terms of this Disclaimer, periodically for changes. REB is pleased to be able to offer you the convenience of making secured online payments. Please be advised, however, that making an online payment does not immediately change any disposition related to your account or indebtedness to REB. We encourage you, in addition to printing your receipt, that you also verify with us by phone or email, (minimum of two (2) working days after your online payment), that we have posted your payment. Normal business hours are Monday-Thursday, 8:30am until 5:00pm and on Friday, 8:30am until 4pm, excluding any regularly scheduled closings for holidays. Enter your email address and password below to login. 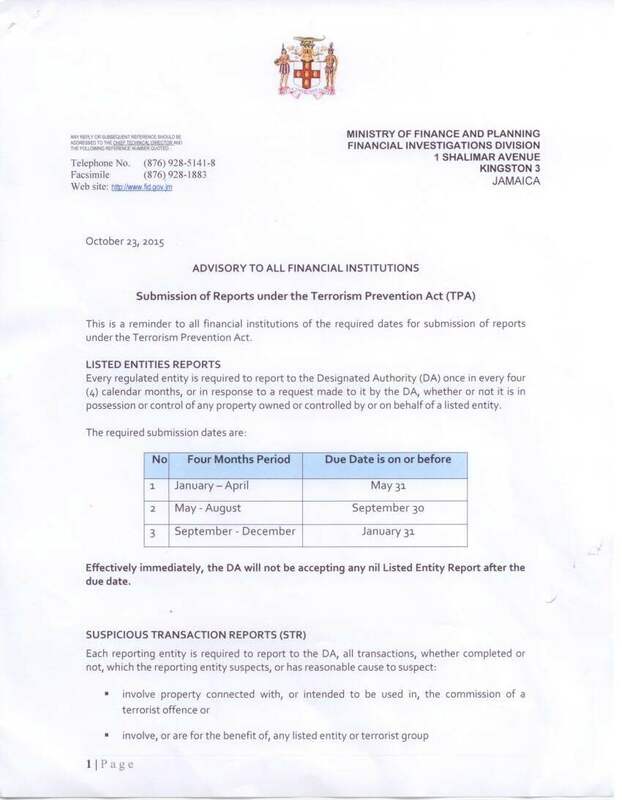 Copyright © 2019 http://www.reb.gov.jm, From the Real Estate Board of Jamaica, All rights reserved.